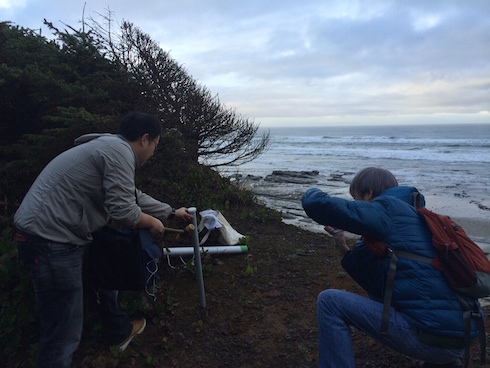 This week, two researchers from Japan joined us to check out some potential sites for a marine debris monitoring project on the Oregon coast! 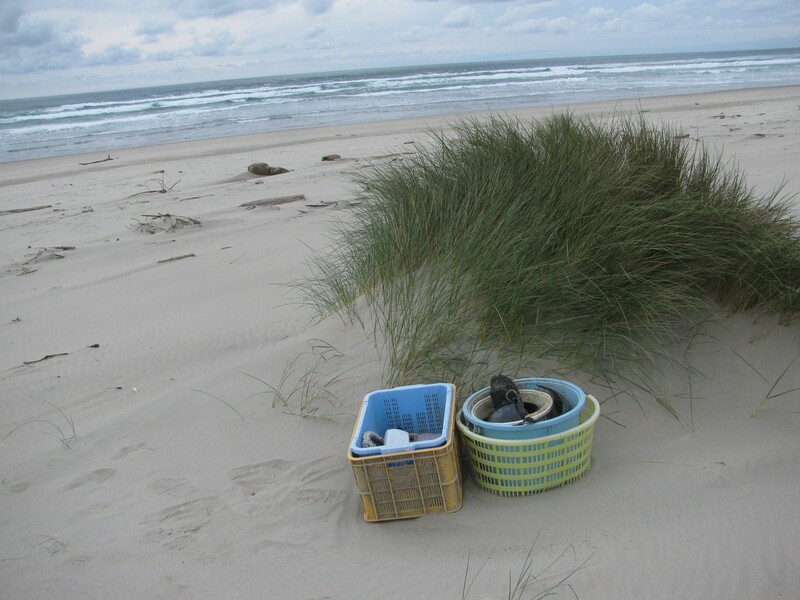 The NOAA Marine Debris Program through a collaboration with PICES (North Pacific Marine Science Organization), reached out to us at Surfrider here in Oregon back in October to help support this really cool webcam project – developed by a Japanese researcher to help better monitor marine debris on our coast. Naturally, the project was really appealing to us given all of the data that we collect on marine debris is generally on the hard backs of volunteers following a beach cleanup. The idea of collecting marine data from a webcam that can snap pictures multiple times a day, for up to 2 years and distinguish debris based on highly-sophisticated cameras and software was really exciting. 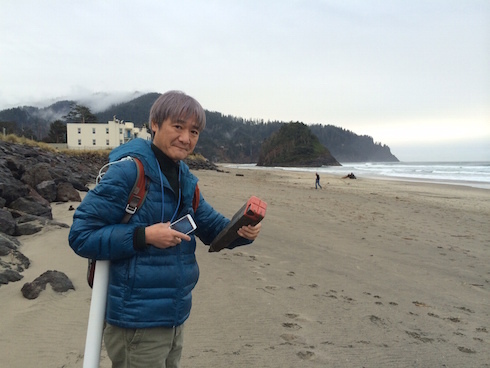 Japanese researcher Isobe Atsuhiko’s project is to better understand the viability of using a webcam to detect shoreline debris, based on the color of manmade versus natural debris. Isobe and his team are from Kyushu University and made the long trek to the United States and were hosted in Newport during their stay over the past few days. He and his research team looked at 4 different sites which Surfrider’s Charlie Plybon and Salmon Drift Creek Watershed Council’s Catherine Pruett helped identify as potential project site locations. The sites range from private property in the Neskowin area down to USFS managed properties in Coos County. NOAA Marine Debris Program Staff, Nir Barnea, joined us from Seattle to help with additional project coordination needs. We are extremely honored to play a leadership role in this project and in the coming weeks, we’ll find out which site the Japanese research team is most interested in on our coast. If all works out, they’ll be returning in February to install the camera project. 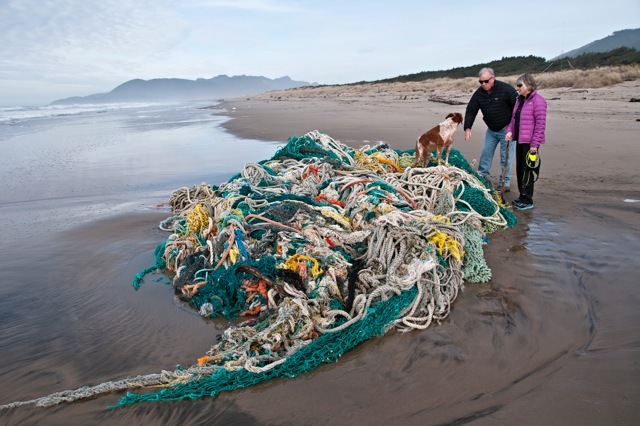 The Japanese government awarded funding to PICES for Japanese Tsunami Marine Debris-related research projects, and a workplan has been developed by a project team with Japanese, Canadian, and US representation. One of the projects proposed and funded was Dr. Isobe’s webcam study. To see photos of the camera frames and configurations and learn more about the project, check out the linked powerpoint below. The month of November was a flurry of activity as new teams were formed and new members added to the, already active, teams. Despite the all the thunder and lightening, torrential downpours and frigid wind, our first Oswald West Committee action weekend was a great success! Activities included running our NOAA Marine Debris Monitoring transect/beach cleanup, a stewardship planning tour of Oswald West State Park led by Oregon State Parks and Recreation, water quality testing at our Blue Water Task Force lab at Nehalem Bay State Park and a brief stormy surf session by a few ‘brave’ individuals. Excellent job for Ryan and Al. Our north Cannon Beach team is on a roll. Robin is always ready to have others join them on their easily accessible beach. Contact me if you are interested in helping out.